Share the love, all day, anywhere you go. Portable high performance seems like an oxymoron. Can't be so great if you can just pick it up and move it around. 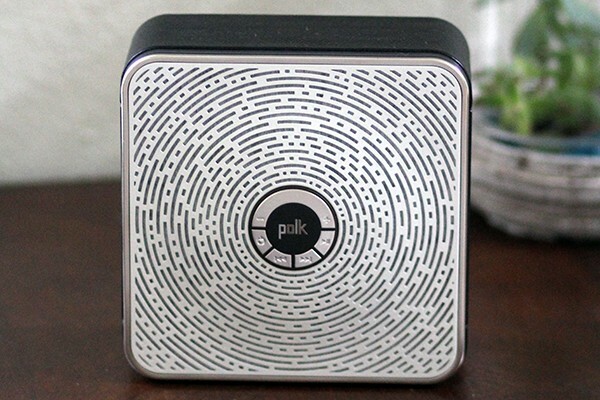 Polk blows the doors off that supposition with the new Camden Square Bluetooth Wireless Speaker. It's a compact, totally portable high performance wireless entertainment hub that delivers superior sound in any surrounding. 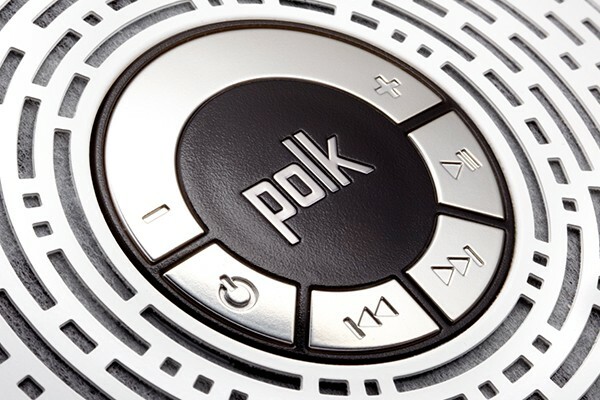 Go from room to room, or from place to place, indoors or out, and never miss a beat. 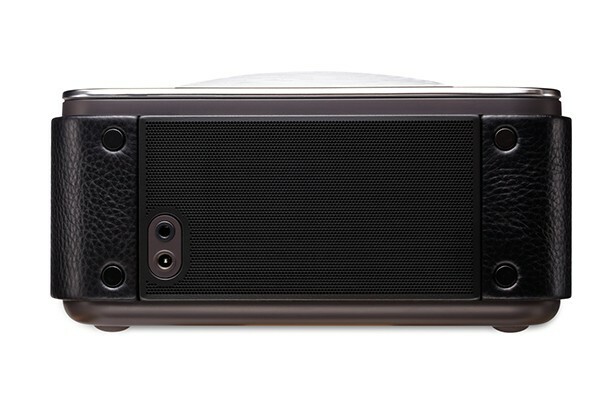 The Camden Square is six speakers in a lightweight box that you can sling over your shoulder and take with you anywhere you want big audio dynamite. Your music, streamed from your igadget, is loud and clear, with surprisingly dynamic bass. • Free DJ Stream app connects up to four DJs and their playlists, plus up to 128 friends who can all vote on songs! • Lightweight rounded square enclosure is compact and easy to carry. • Powerful, lightweight Lithium Ion Batteries play up to 24 hours at moderate levels on a full charge. They recharge quickly with the AC Adaptor (included). • Uniquely engineered 6-driver array, four full-range speakers and two rectangular passive radiators, combined with Polk technologies, delivers big volume, lifelike sound projection, and surprising bass response. • Full Complement Bass (FCB), exclusive Polk technology, delivers combined identical low frequency signals (below 200Hz) from all speakers, for awesome, danceable bass with minimal distortion. 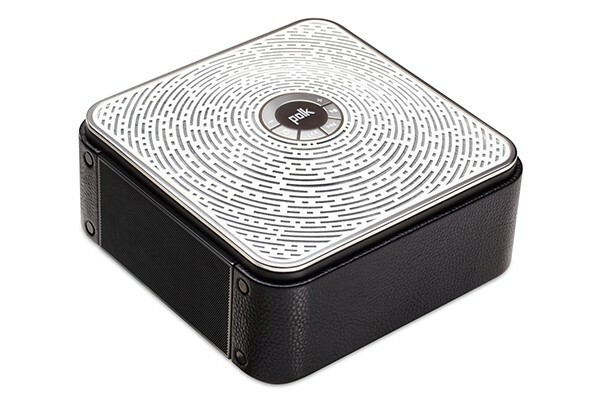 • Dynamic Loudness Digital Signal Processing (DSP), and the specially designed acoustic system of the Camden Square, results in optimal performance at any listening level, from the all-out party, to late night quiet moods. Polk's proprietary, patented Dynamic Balance tuning technology nixes distortion-causing driver and system resonances before the manufacturing stage, so you only hear the good sounds. Easily accessible center panel controls. Dimensions Footprint - Depth 7 1/16 (17.94cm) "
Dimensions Footprint - Width 7 1/16 (17.94cm) "
Driver Complement Full Range - Diameter 2 (5.08cm) "
Driver Complement Subwoofer - Diameter 3 (7.62cm) "